The past couple of weeks God has been showing me new aspects of one of His gifts I too often neglect: prayer. First, as a caveat, I have to confess something. 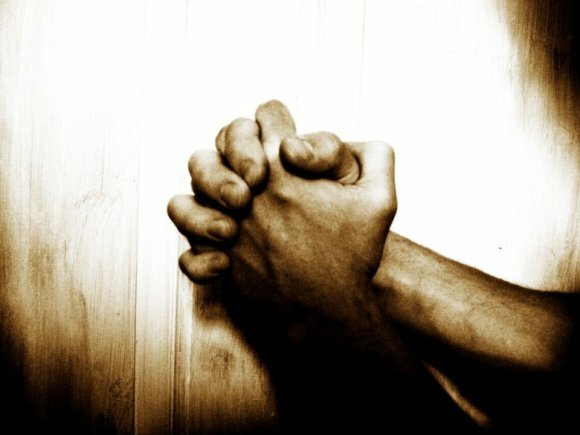 For the most part, whenever I have heard the phrase "the power of prayer" bandied about by Christians, I've cringed. I've wanted to shrink away from it like I do a myriad of other Christian cliches people whip out in the company of Christian friends. Whether the phrases are used with insincerity, or lack of creativity, or both, or neither, I don't know. Nevertheless, I sometimes cringe. But, as it often goes when I think I'm doing OK, in the past couple of weeks, God has shown me a better way, opening my eyes to a weak spot in my heart. How can I know God better? By studying what He has created and revealed. What did He say was the most valuable part of his creation? The ones He made in his image. How do I get to know them better? Through conversation. How do I begin such conversations? In a place of prayer, a place where hearts are open and vulnerable. This is what happened at my house the past two weekends in a row. Unplanned prayer sprung from the hearts of my brothers and sisters. For three hours one night, we feasted in the glory of prayers for and with one another, to our Creator-Redeemer. By hearing the cries of other hearts, we connect in a deeply intimate, superhuman way. We join together in supplication, thanksgiving and praise as together we verbally acknowledge, over and over, from each heart in new ways, how desperately we need our Lord. What else is prayer but a conversation in which the created being says to his Creator: "I am not enough in myself. I need You!" And most beautiful of all, the Creator responds. What a humbling, painful, devastatingly beautiful reality that is. And, over time, the devastation fades until only beauty remains. Hearing those prayers breathed not in silence, but with brothers and sisters, in unselfish audibility, is blessing, is food, is encouragement, is life. It pulls me into their lives and pushes my face upward to a Creator who waits to hear His children talk to Him in that way. I don't want to withhold that power from my life or from my friends' lives anymore. How can I keep silent when God's spirit calls me to conversation?